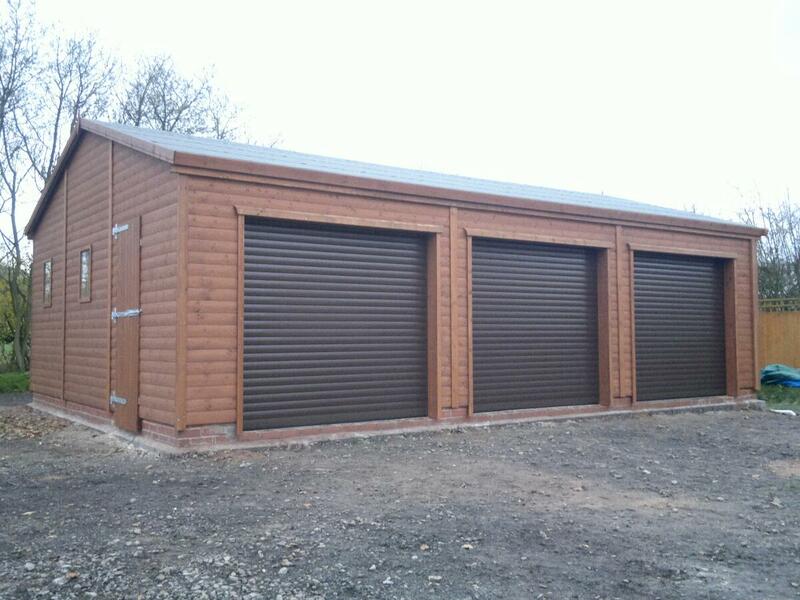 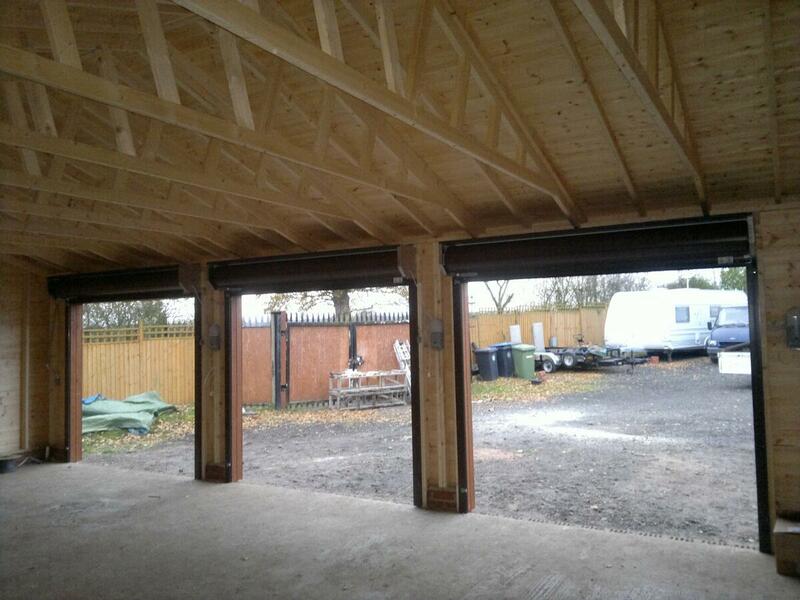 20 x 30 triple garage with three electric roller doors in brown. 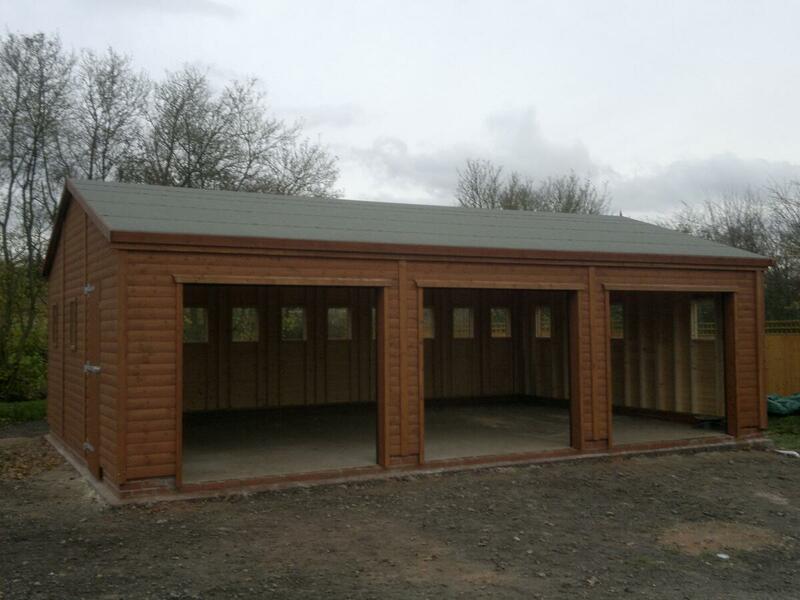 Heavy duty roofing felt, painted cuprinol ultimate Autumn brown. 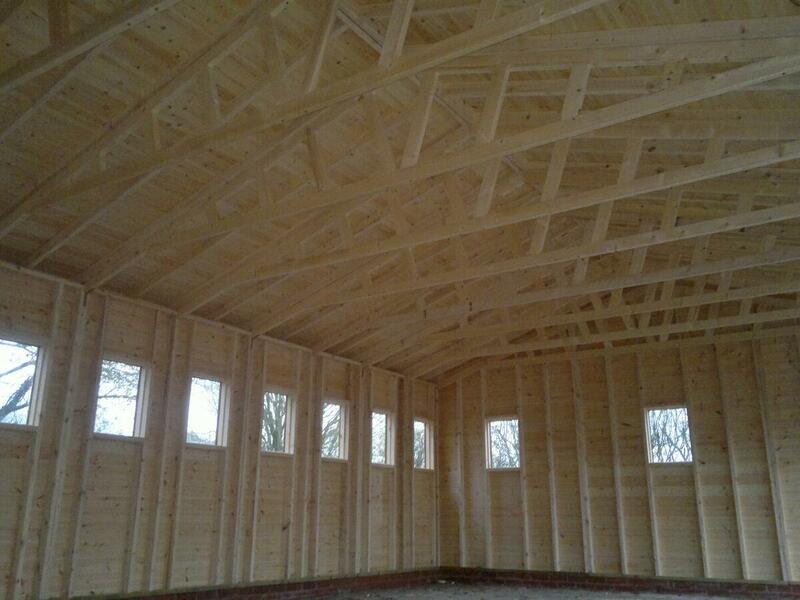 This building was seated on 3 course’s of bricks which was the customers preference. 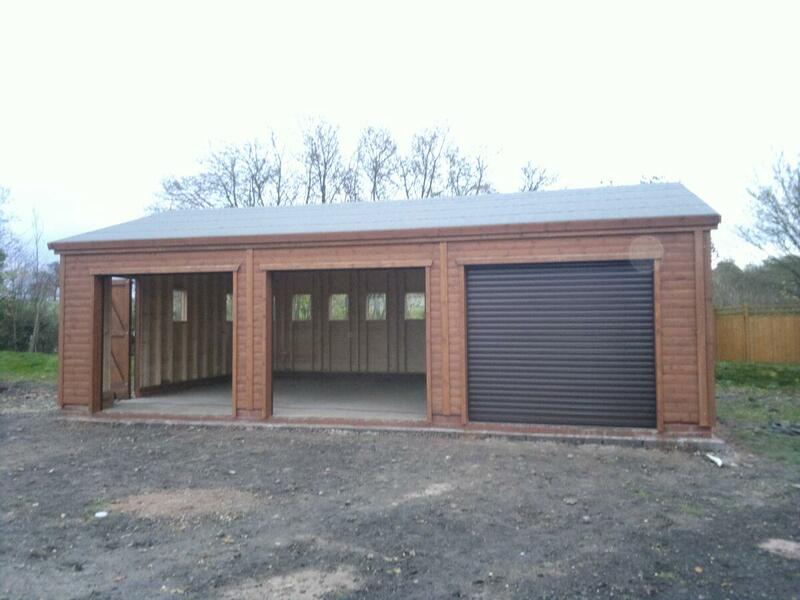 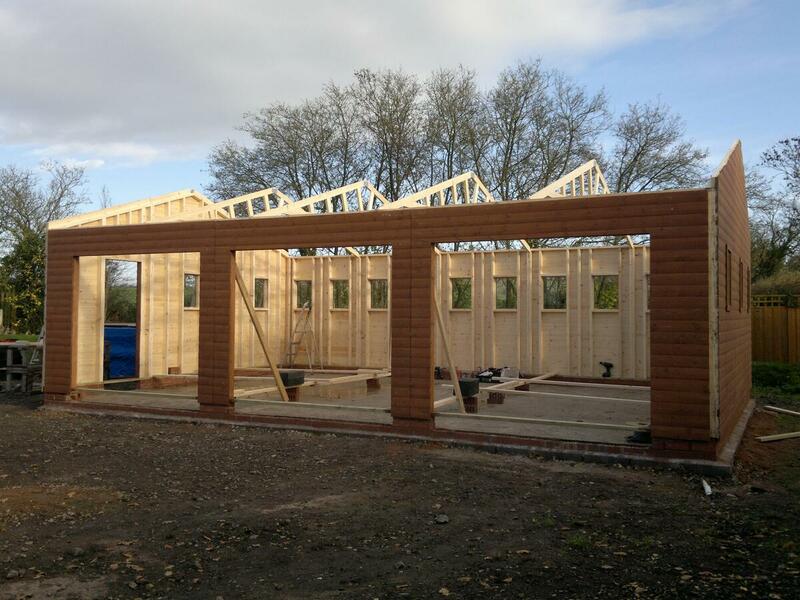 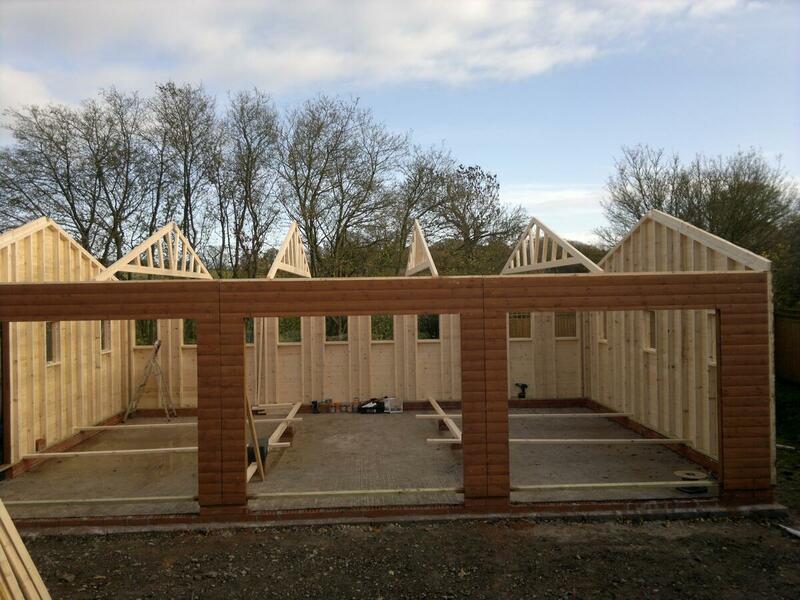 Our 3 bay garages normally sit on to a single course of bricks.